I won't lie to you, folks. Assassin's Creed is one franchise of games that I find myself constantly flip-flopping on. I was a huge lover of the first and second games, and I still consider Brotherhood to be the high point of the series. I also think that the latest iterations have strayed a bit too far away from what made this such a wonderful experience. It's good news to me, then, that the developers of Assassin's Creed Unity supposedly built this latest game with a penchant on returning to the pillars of the experience. That's what the video above suggests, anyways. Vincent Pontbriand, Senior Producer on Assassin's Creed Unity, explains that they've rebuilt the game while focusing on those central pillars. 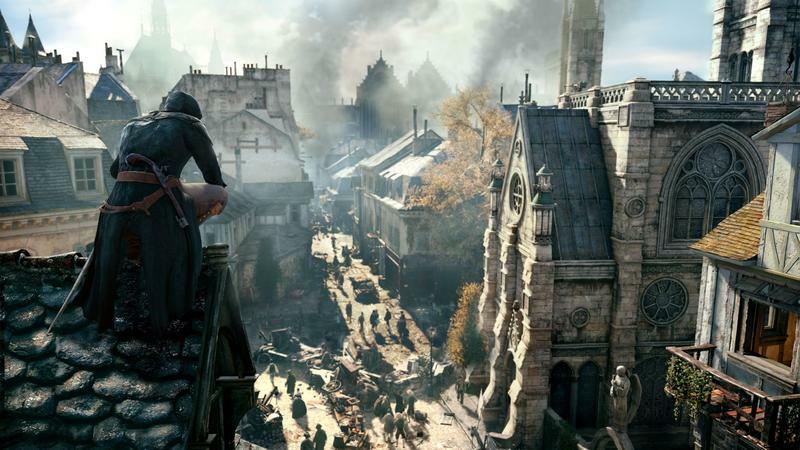 He talks about going back to the roots of Assassin's Creed in Unity. They want to stay true to the experience in its classic form, but they hope to do so while bringing fresh ingredients like seamless interiors and more dynamic crowds. As flip-floppy as I am about Assassin's Creed, I am genuinely excited for Unity. I don't know if it will be the slam dunk we all want it to be, but it certainly has the makings of a wonderful new adventure in this now classic series. Assassin's Creed Unity will launch on Oct. 28 on the PlayStation 4, Xbox One and PC platforms.